Suffering, failure, sin, illness, loneliness, disappointment. They all come in a seemingly endless variety of shapes and sizes. At times there seems to be no way to turn, either backwards or forwards; there is no light at either end of the tunnel. For many people such experiences raise questions like: Why has this happened to me? Has God abandoned me? Can nobody help? Is despair all that is left to me? Large numbers of people today share such experiences and privately ask these very questions. But there is an answer. In fact there is a whole series of answers. Deserted by God? 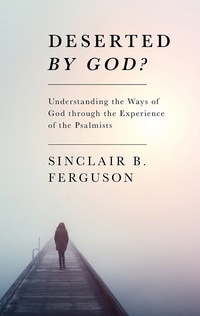 begins with the question “Can Anyone Help Me?” and draws on the experience of the psalmists in the Old Testament to help us to begin to understand the ways of God. It shows how others have walked the same pathway before us. They provide us with wisdom which will lead us to the conviction of the closing chapter that we are “Never Deserted”.